This page is set aside to showcase our members talents. If you have Eurovision Related Talents that you would like to have published on the website please email contact@esccovers.com for consideration. Our First Member is from Peru and her name is Carolina. Included below is information about Carolina. Can you tell us about you? I'm Carolina Emma Añazgo Leo. I'm 29 years old and I am from Lima Peru. I'm a freelancer artist, anime fan and Eurofan rolled into one. I created the Eurovision Friends 5 years ago to help the newer generations to discover how fun is listening Eurovision songs." What first got you interested in Eurovision? I started watching Esc in 2002. The year Marie N from Latvia won. For Junior Eurovision, in 2004, when Maria Isabel from spain won. I recently stated watching Eurovision Young Dancers and Young Musicians. How long does it take to draw and colour one character? I sketch the Eurofriends first to make sure if the pose reflects his/her personality along with some re-drawing to see how they look like. Then, i use a program called Paintool Sai to make the outline and paint them, and adding their respective heartflag. It takes 1 hour to sketch on paper, and 2 hours to paint them digitally. Can you explain the inspiration for the words you write about each character? I imagine a personality and voice for each Friend, then i listen the country's song along with some facts to shape things up (Example: I made Belgrade wear glassesbecause of her esc winner, or Stockholm being a idol singer and writing her music (Along with every friend's songs in the world) because Swedish songs are listened worldwide). Watching anime also inspires me to make the Eurofriends heartflag powers and abilities. For the Lil Eurofriends, I added them because many shows I watch have young characters on it and I decided to create them to represent the youth and innocence in the show. I'm making the Eurofriends new looks to celebrate 5 years since i created them. "Good-mannered Kiev is known by throwing tea parties and being polite to others. She always brings her homemade teabags with all sweet flavours for any situation to help anyfriend in need around Eurovision land. Even if there's a problem around, this Eurettefriend will solve it with nice words and good manners to help others to save the day. Her polite spirit help her win Eurovision twice and Junior Eurovision once"
Rome Eurofriend is a friend who brings everyfriend together to Eurovision! He loves teamwork and how he unites his friends with a smile... along with some italian food he makes. This Eurofriend loves his brother San Marino Lil Eurofriend and his sister Valletta Eurettefriend so much, that they work together while helping others. Belgrade is the smartest Eurettefriend in Eurovision land (thanks to helping her country win when it debuted). She loves to learn new things in every situation and turns those lessons into books written by her, so everyfriend can read and solve any question in mind. This friend enjoys sharing what she knows to everyfriend, even to her little sister Podgorica Lil Eurettefriend. Podgorica is a graceful... young stunt double on the move. She loves doing stunts that leaves everyfriend in Eurovision land with the open mouth for days and she uses either her scooter, skateboard or rollerskates to do new tricks... or helping her friends as well! This Lil Eurettefriend has a lot of impulse and being a hot-headed girl with a passion for helping others, perfect to guide her Lil Eurofriend pals to reach new places. Starry-eyed Sarajevo loves to help people reach the stars and making their dreams come true with his wish-granting skills. Even he loves astronomy and has an observatory to see the stars at night... except when he qualifies to the Eurovision final. But, sometimes, his friends tell Sarajevo to work hard to see his wishes come true and vice-versa! And, whoa friend! That's true! For Amsterdam Eurettefriend, she's always getting the latest Eurovision trends first. And she loves to talk about it, while sharing a glass of orange juice with everyfriend she speaks. This chatterbox friend enjoys a good conversation with all her friends and even she tries hard to make a chat with Oslo Eurofriend. Sofia Eurettefriend loves to cheer loud to make people happy and cheerful, just like her. She loves to speak in rhyme to express her joy and she's always supporting others in Eurovision all the time. Even she can support all participant countries at the same contest when needed. You'll recognise her by seeing her lime green hair and hearing say her catchphrase "Hip, Hip, Hooray! It's a wonderful day!" along with a pep rally from her can cheer anyfriend up. Ljubljana Eurettefriend is a silly and fun-to-be-with friend in Eurovision Land, who's also a kindhearted and funny comedian who loves to make her friends laugh, even her twin brother Zagreb Eurofriend. She loves to write and tell jokes, make silly voices and most of all singing songs on top of each other. Now that's being silly for this Eurettefriend who always makes her friends laugh with joy and she never had a boring day. Athens Eurettefriend is an "all is fair in sports" friend who enjoys playing all kinds of sports... even Eurovision can be seen as one by her. She loves being a good sportfriend with others and lovves to put a lot of fair play on the gamefield, making sure that everyfriend can follow the rules. Winning, losing... or even missing the final. She wants to see all her friends having a ball! Tbilisi Eurettefriend is always in a good zen mood and a peaceful ally who always trust in Song Contest peace. She's a peacemaker who believes that everyfriend in the Song contest should get along and in Eurovision peace. And one of her hobbies is practicing yoga in her zen garden. Tirana Eurettefriend is magical in her own way (When she uses her heartflag powers)! This magician loves using Eurovision magic to help others to see their inner magic with possitive thoughts. She's also able to summon magical creatures in a twinkle of a eye and she loves them. From magical unicorns to quali-flying griffons, she uses her magic to help her friends or have a ride, solve a problem and make everyfriend believe that the Song Contest is surrounded with good magic and filled with 12 points of friendship. Bucharest Eurofriend loves to have fun. Even he lives and works in a fun park where he makes his friends have a ball. He believes that having fun is the most important thing in the Song Contest for him and he helps his fellow Eurofriends to do so. If his country doesn't participate in Eurovision, he keeps his spirits high and doing his best to see his country win someday. Warsaw Eurofriend is the merriest friend you'll ever met in Eurovision Land. And he always wears a Santa hat to prove it! He knows esc-xactly what his friends wants for the holidays. And working in Euro-mart makes him happy, where he can give the things eveyfriend needs! His vocabulary has a lot of season greetings and he's not afraid to celebrate his holiday joy with others all year long, even when he won Eurovision Young Musicians and Young Dancers. Andorra La Vella Eurettefriend is pretty as a picture. Of course, she sees beauty in Everyfriend around Eurovision Land. But what matters for this hairdresser friend is that she has a comb, scissors, hair dryer and her heartflag powers in hand to turn everyfriend beautiful as she can imagine! As of her country's luck, that's another story! She's the only Eurettefriend in the Song Contest whose country doesn't manage to qualify to the grand final yet. Geneva is caring and sweet as a red delicious apple, and everyfriend knows she has the honour to be the 1st ever Friend whose country won the Song Countest. But, she's also a mother figure to all Lil Eurofriends and she treats them as her own children who at the same time, are their students at Euroschool. She loves to teach young friends and people alike everything about helping others in Eurovision. Some friends say that Vienna learned to live with nature and Eurovision at the same time. 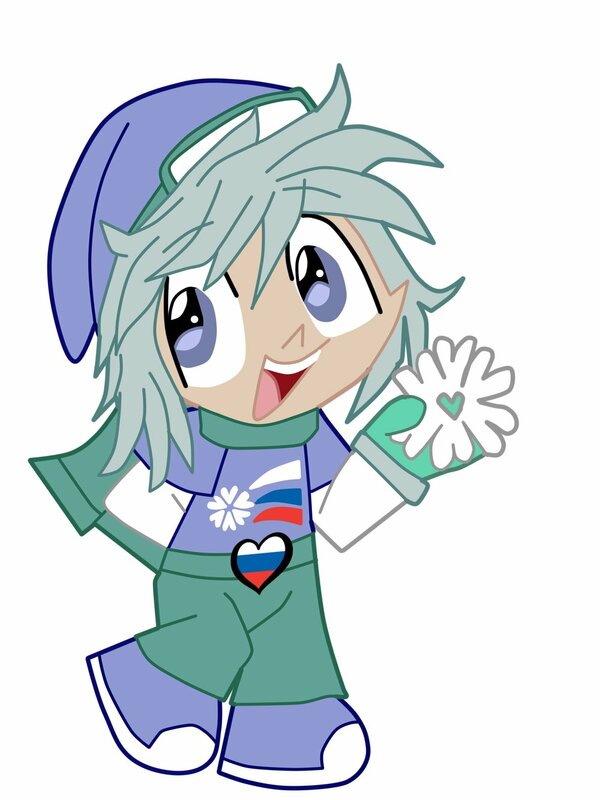 This eurettefriend loves to take care of all fauna and friendships in Eurovision land, even her job in the friend scouts helps her to keep in touch with her friends. She has the ability to talk to animals, and she understands them to solve their problems. Monte Carlo is one beautiful rarity of a Eurettefriend, but she's also the most rare girl regarding her country's participations at Eurovision, but she loves working for charity. She nowadays prefers wearing her sister Paris' new designs along by a hairstyle made by her little sibling Andorra Eurettefriend, makes this friend as proud as a peacock for friendship and helping others for a good cause! And this friend loves walking the runway to help others in the name of charity and traveling around the Song Contest is a prove that she's busy enjoying the friend carpet... until time comes and her friends call her for another participation in Eurovision! share her asia-pacific culture with her friends and family. Paris is a true romantic eurettefriend who loves to spread love and romance and making the perfect match in every couple. Just like the Eurofriends version of Cupid, whose chansons makes fell in love. Even she adds chocolate and "I love You" messages to give an personal touch. She also makes the latest Eurovision fashions and keeps up to date with the newest trends. Little San Marino is a bubbly and open friend with a BIG heart! He knows everyfriend from around the world deserves an chance to be in Eurovision. He also helps others getting their goals using his BIG inspirational words and actions. Besides, for the youngest of the Eurofriends, he helped his fellow Lil Eurofriend pals to get their heartflag powers (at the same time as his). Baku Eurofriend is a fiery mischievous friend from the land of fire with a heart of gold... And he's fast on the road! Really! for this Eurofriend, he does things fast, just as "Say it and do it! ", no friend in the Song Contest have imagined that Baku could win Eurovision once (Just after his twin brother Yerevan). He also loves riding his vehicles, but most of the time, he enjoys his monster truck. So, everyfriend can have a ride with him. Madrid was born to dance. And she loves to prove that to the Song Contest! From hip-hop to flamenco, she has the moves and the groove to amaze everyfriend while she does best. Dancing while listening Eurovision music! She also uses her heartflag powers to detect musical beats in her surrondings and turns them into new dance moves. Berlin Eurofriend is a green-thumbed farmer who loves bringing his harvested food to everyfriend and he's ready to lend a hand (Even after a long day of harvesting his fruits and vegetables). He knows when his friends need fresh ingredients to make every meal in Eurovision Land! For this friend, he loves his farm duties and helping his country win twice with music that is easy for everyfriend to listen! Even though if she sings in schlager music first and saying Melodifestivalen (And other National Final) terms at first. This Eurettefriend is a famous Singer, and that's why her friends give her lots of applause in her concerts. Zagreb Eurofriend believes that everyfriend has a inner hero waiting to be awaken. This one-solo hero loves to save the day and lend a hand to others in need... only if another friend (Even his twin sister Ljubljana Eurettefriend) is in a hurry. Since he loves Eurovision , action and friendships; after a day of saving others, he'll be reading his favourite comic books (Mostly written and illustrated by himself). Vilnius Eurofriend knows how to build everything esc-citing in Eurovision and making progress everywhere he builds and helps. He always plans everything from scratch! Making everything goes according to plan. Even if it takes a lot of time to materialize his ideas! And he takes his projects to a whole new level. This friend always says "Just wait and esc" as his catchphrase." Nicosia spends her days adding technology to others lives and esc-pressing her good feelings with others in social media! She loves to have a lightbulb moment everytime she shares her ideas with everyfriend in Eurovision Land and she's improving her newest inventions all the time. And for this Cypriot friend, she loves to use technology to help her friends solving their problems, even she lends her hand if they're new with technology. Skopje is all calm and all sunshine attitude who loves sunny days, going to the beach and her country she represents at Eurovision. Even when is snowing or raining, she makes the sun shine in for her friends (In a metaphorical sense). She has a bright and summer-loving personality and look at the sun on her heartflag! It shows that we can shine in the light of any situation! Brussels Eurettefriend loves to share a happy smile and taking pics of everyfriend in Eurovision Land. Be sure to see all new "moving" pictures she takes of everyfriend she meets in the Song Contest (along with her fellow Eurofriends). And by hearing her saying "cheese! ", this belgian Eurettefriend knows how to add a smile in the right time, along with a selfie. Minsk is nice and cozy as a ice cream scoop. His cozy personality lifts everyfriend's spirits up along to the ice cream flavours he makes. Even he can enjoy a scoop of neopolitano ice cream! He also the 2nd friend who loves helping children to discover the Eurovision events thanks to winning Junior Eurovision twice. And we say so because is his favourite event, because he has 2 victories along with Tbilisi and Valletta. Riga has some honest attitude to show everyfriend that everything is possible by telling the truth. He might be a serious friend, but he can show his happy feelings for Eurovision and a smile as well. Besides his glam look and being part in Helsinki's band, he shows his honesty with a heartflag of gold with lots of truth to show to the song contest. Budapest is well known as the "Surprise Master" of the Eurofriends. Nofriend can predict where he can pop-out next! Everytime he helps his country's Eurostars at Eurovision, you can esc-pect a nice surprise happeninng to one or more of his friends. You can also see this friend with his chicken pet Friderika planning parties and sharing a birthday song to make that time of the year (along the Eurovision events) unique. Pristina might earned her Heartflag Powers along with all the other Lil Eurofriends at the same time. But she stills looking to take shape to it! She might participated in Eurovision Young Dancers once, but not in the Song contest itself. And she's always working behind the scenes helping others always makes her happy! So far, she's the only Friend in Eurovision Land without a song to be represented by her country, and she dreams to have a singer as Eurostar (Even if she helps her friend Tirana Eurettefriend finding one)! Even though, she composes her own songs! Luxembourg Eurofriend is known as one of the strongest Eurofriends ever seen, and he's a legend to be behold! And everyfriend says he has the strength of all inhabitants of Eurovision Land together. Just ask his big sister Amsterdam Eurettefriend. Both share colours on their heartflags. He might be among the first friends to be in the 1st ever Contest, but recently, he prefers to uses his strength around town to help others to discover it. "Moscow Eurofriend is a living and believing friend who loves to make believe that everything possitive is possible with his good actions. Even in the darkest hour, he can stand up and make things possitive for everyfriend in Eurovision (And even the ability of qualify all the time) with the help of his friends. He enjoys snow days, snowboarding and helping his friends making the most beautiful snowglobes!" Chisinau makes the word "Friends" in Eurofriends clear and loud. This little flower girl loves to grow up every single flower in EuroPark, making friendships strong and treating everyfriend alike in Eurovision land with her Eurofriendly attitude! Just like her heartflag powers, always full of "Flower Power", She has a lot of friends who can count on how to make new friendships while keeping the old ones as well! Reykjavik is a cuddlefriend who loves to hug and being kind to others with his actions. A real sweetie who loves to stick together with everyfriend in Eurovision Land and he even loves to bring honey to share. This lil Eurofriend prefers helping people with his kind feelings before winning first, proving that kindness is a sweet treat served in 12 points! Tallinn Eurettefriend has a sweet tooth for candies, cupcakes, doughnuts, chocolate, pies and of course, winning Eurovision once. She loves baking and sharing treats to her friends... but she bakes a plenty to share. And she dreams to make enough pastries to give to everyfriend in the entire Song Contest! So this friend with a sweet personality can have a little snack time to share with her loved ones including her brothers Vilnius Eurofriend and Riga Eurofriend. Bratislava loves acting everywhere, even on Eurovision stage. This Eurettefriend might be a little shy, but her confidence and hopes helps her a lot to move on and live her passion of making movies and tv shows starring herself... along with her friends! Lights, Camera, Action! She's ready to help others to shine on stage. Everyfriend in Eurovision Land understands what Prague Eurofriend says. He's fluent speaking every language, dialect and accent heard in the Song contest and he loves to teach those nice words to others to understand the moment. And even he stands for them when words are hard to understand! And he adds his catchprhase "Which translates to (insert some meaning to the situation)" to express himself and help others to understand languages. Valletta Eurettefriend is one of the best chefs in Eurovision Land and she's also great bringing 2 victories in Junior Eurovision as well. She knows to spice it up a good recipe (or song) and make it "Dee-licious" as she loves to call all things she loves in the song contest. Spicing with esc-citement, she knows how to sastify everyfriend with her recipes. Everyfriend knows that Helsinki Eurettefriend rocks, and her passion for rock music in Eurovision speaks with her unique loud voice! She might act and talk like a real rock star (Because of her Eurovision victory), but this cool Eurettefriend also has a kind heart flag to help others to say out loud their good feelings. On her free time, she teachs others how to rock, along with some guitar lessons. Tel Aviv is a frequent flyer Eurofriend in Eurovision Land. Even if he's thinking of which place he and his friends will visit next! He knows every place he visits is where good friendships happen, even in his hometown! And also, he makes maps of every place in the whole the Song Contest. So everyfriend can find the way to their destinations. Copenhagen Eurofriend sees everything in rainbow coloured glasses, along with his multi-coloured hair... Even in Eurovision, whe he made 3 colourful victories. He loves arts and crafts, so he finds the next masterpiece before you can say "12 points! ", he can share them with his friends. This danish friend can also use his heartfag powers to create the most beautiful rainbows (or what he calls "Coloured ribbons") you're even seen and he loves making them. Little Rabat Lil Eurofriend might be soft-spoken and bashful, but a good friend who loves showing his good feelings allthe time! He participated in Eurovision once, but his friends don't know why he's shy to participate after that day. But one thing's for sure, this moroccan friend dreams of get out of his shell and help people to understand how do they feel and give a lending hand when it comes to overcome their problems! Yerevan Eurofriend has a patience of gold and he takes things as calm as a breeze wind. Even playing chess with his friends, can be relaxing for him! Not to mention he prefers do everything one step at the time instead of take a rush. In Eurovision he loves his eurostars and don't forget that he won a event (Junior Eurovision) before his twin brother Baku Eurofriend. Want to meet the most luckiest Eurofriend in Eurovision Land? Dublin is a living example of good luck and he spends his days helping others to discover it with the good things that surround them. His lucky charm personality is a major key player when it comes to have 7 victories and he wants to share his lucky achievement with everyfriend in the song contest. After severals nul points given to his country (But, luckily, 3 Eurovision victories), Oslo decided that music speaks louder than words in his esc career. He rarely speaks (Even though Amsterdam Eurettefriend tries to make a conversation to him and this norwegian friend says a little)... which means he's composing the next set of Eurovision songs to give to his friends. And he's always playing every musical instrument in the Song Contest! Ankara Eurettefriend is Eurovision Land's nightwatcher! She uses her abilities to make sure everyfriend is having a good night's sleep and protect them from having bad dreams! She also wakes up her friends in the morning. And she even knows her friends dreams perfectly... Even she writes them in a dream journal! This friend also has several cousins spread across Eurovision Land and Asiapolis and with them, they make their own Song contest called "Turkvision". If her friends need her help, she'll be ready to see their good dreams they have during nighttime being materialized. Lisbon Eurofriend loves to help and lend a helping hand to others in need! He proves even if you have to wait to win Eurovision for long, as much as he keeps saying "i can help everyfriend in need and meeting them and reach my feelings with love". And what better way to help for him that working in his hotel and welcoming everyfriend from abroad! Brave and strong London is the leader of the Eurofriends. Thanks to overcoming his own fears and saving the day when he's around! He loves to give his courage to others and he helps everyfriend to overcome their fears. Whetever helping his fellow Eurofriend companions, to bringing courage to them in the darkest hour, this Union-jack hair coloured friend knows esc-xactly how to be brave in every situation and loves to spend his day living strong and courageous!